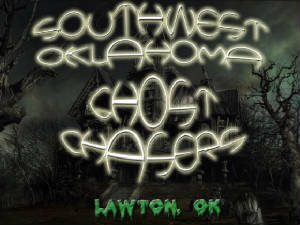 We are a group based in Lawton, Oklahoma, that is interested in finding out the truth about hauntings and Paranormal activity in Southwest Oklahoma. Our goal is to prove or disprove legends or sightings having to do with hauntings, apparitions, ghost, ghouls, and unexplained phenomena in our area. We do investigations on private homes as well as historical sites. We DO NOT charge for an investigation. We will investigate legends, hauntings, and sightings. The mission of the SWOGC is to find the truth, with no exception. We are a non-profit organization that investigates the unexplained phenomena in the Southwestern part of Oklahoma. We will try to determine the truth about legends and sightings from this area's local folk lore and ghost stories.We do not use Ouija boards or perform seances, we use a scientific approach & scientific equipment in our investigations. Here at the SWOGC, we do not believe in charging for our investigations, as we feel that helping our clients get answers to their questions should be a free service, however, providing investigations and doing research require their share of equipment and most of our investigation tools are paid for by our president and the investigators themselves. If you would like to make a donation to the SWOGC, please follow the link below. We at SWOGC appreciate you more than you know. Also any donation of $25 or more and you will get a new SWOGC T-Shirt.